G&S Racing Kawasaki have made some significant changes to the rider line-up for 2019, with Tom Fisher stepping aside fto take up the position of rider management. 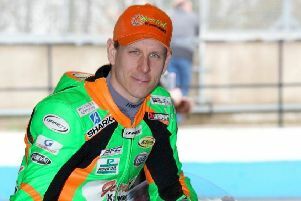 Kevin Keyes has joined the Wyberton team and will be contesting the Pirelli National Superstock championship aboard the new Kawasaki 636. The 20-year-old Irishman completed the 2018 season in fourth place, recording four podium finishes with a best result of second at Donington Park and again at Oulton Park. “I am super excited to be joining G&S Racing Kawasaki and can’t thank Mark, Kay and Tom Fisher enough for this amazing opportunity,” he said. “I am very excited to be riding the brand new G&S Racing Kawasaki 636. I cannot wait to get to Spain for our first official test as a team. Team manager Mark Fisher said: “I am delighted to welcome Kevin to our team. “He is a fast and competitive rider as proved with his results in 2018 and with the arrival of the new Kawasaki 636 I am sure he will be up there battling for race wins. “Unfortunately, due to unforeseen personal circumstances, Ben Luxton has left the team and we wish him well for the future. “With Tom moving into rider management it leaves Milo Ward as our sole representative in the Pirelli Superstock 1000 championship, and I am sure he is capable of bringing some top results back to the team.